Christine & Joel could not have asked for a more beautiful forecast on their big day. 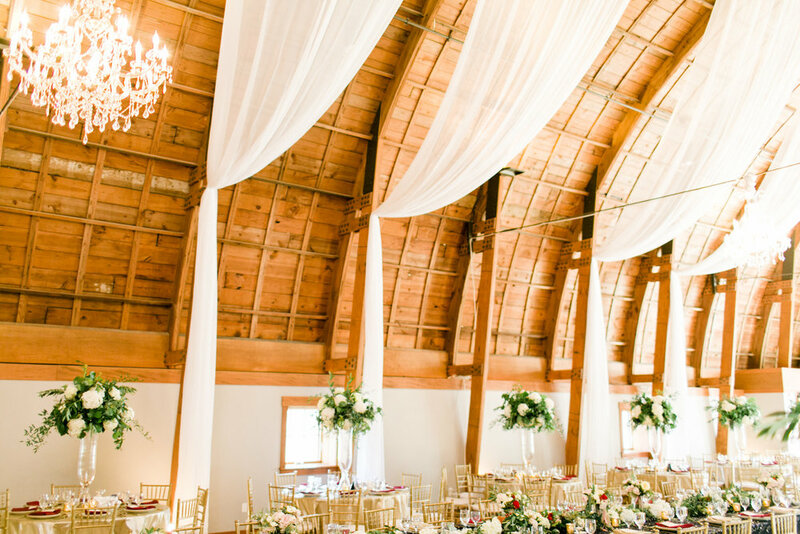 Early September turned out to be perfect for this extravagant northern Michigan wedding. From elegant touches of gold to champagne for the guests upon their entrance to the Cathedral Barn, the day was not one to be missed. 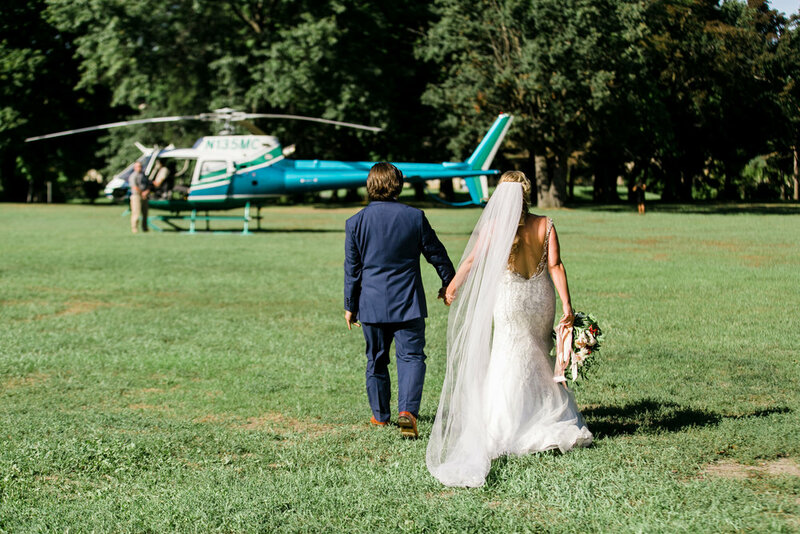 And to top it off, throw in a helicopter takeoff post-ceremony for this lovely couple. 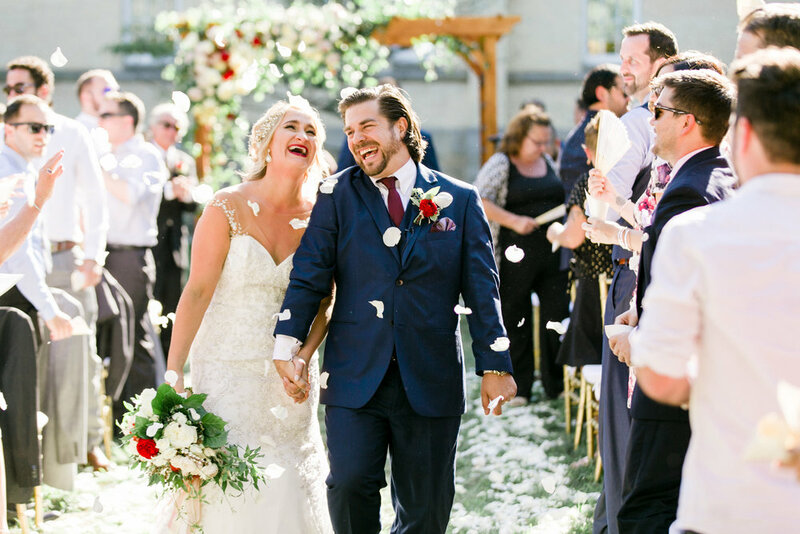 With the help of some amazing local vendors, Christine & Joel turned their wedding dreams into an unforgettable reality. WHAT IS NORTHERN MICHIGAN STYLE? Planning a wedding in northern Michigan is truly unique. While I’m not necessarily what you might call a world traveler, I don’t really think there’s another place quite like it. The crystal waters of Lake Michigan, the rows of pristine grape vines, the hills and the valleys, the waves crashing on the white sandy shores, the dune grass, the autumn array of colors, the charming waterside towns and summer’s unceasing display of watercolor sunsets are just a few of my favorite reasons to love this region. So it really comes as no surprise that so many couples opt to marry here. It’s magical and nostalgic with endless possibilities from the rustic to the refined. 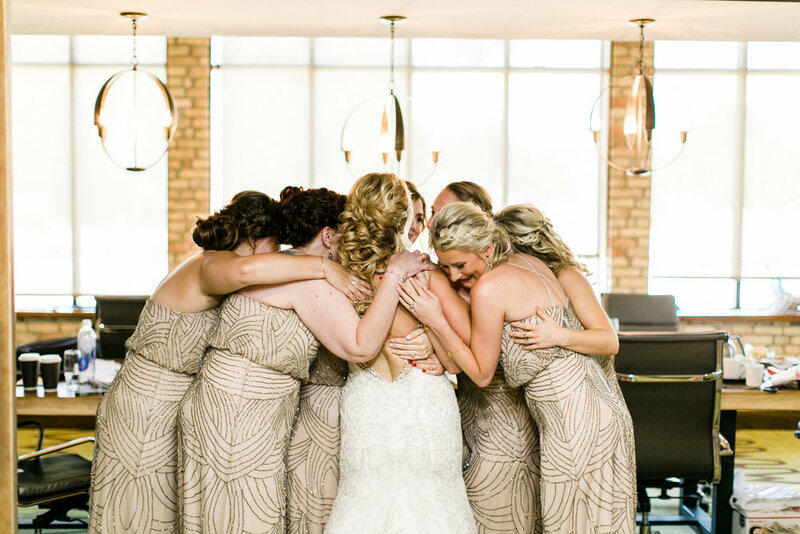 One of the most common things I hear as I sit down with a couple planning their Northern Michigan nuptials is how they want to capture the Northern Michigan style and share the essence of what makes it so special with their guests. Which leads me to the question, what is Northern Michigan style? With so much of the state being surrounded by water, it’s really no wonder that water has such a great impact on our way of life. From tug boats, to yachts to the sails boats with their masts proudly raised high – there’s a magical power to the water and it captivates the audience of both locals and visitors alike. The cool color palettes, the gauzy look of an old fish net and the reflection of a sparkling summer sun across the mirror like water surface all provide the perfect source of style inspiration. If you’re from any part of Michigan, there’s a pretty good possibility that you either had a place or knew someone who had a place “up north”. It was the summer getaway and your weekend escape. Work and fussy details don’t follow you here and there once was even a time that cell service was practically obsolete and wi-fi barely existed. While progress has slowly crept into Michigan’s northern regions, it’s still a place where life can slow down. Emails don’t have to be answered in an instant and front porch sitting is a favorite pastime. For this reason, life just seasons a little simpler and styles, venues and décor choices seem to reflect this. 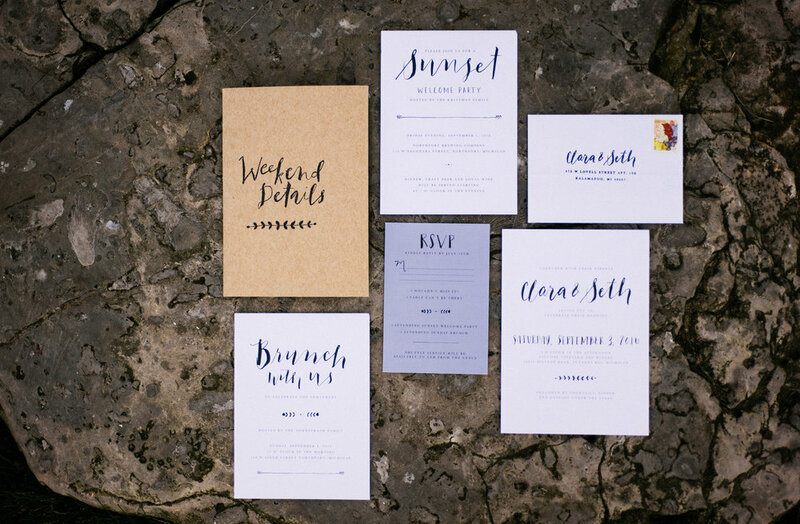 I find most couples telling me they want a wedding reflecting the Michigan vibe are seeking this laid back atmosphere to their day. Fresh produce stands. Rows of wildflowers. Wine, cider and other indulgent beverages are a plenty. There are so many growers and cultivators of the earth. And of course the fisheries too. During the summer, one can practically live on the land. As you’re planning a wedding, this is such an easy way to pay tribute to the area, feeding your guests cherries and asparagus, serving beer brewed with local hops and carrying a big bouquet of homegrown flowers. I jokingly once told my husband that Leelanau is what you get when you mix a high class yacht club with a bunch of hippie farmers. While it was said in jest, I think there is some truth within that which you can spread across the area. There’s an organic, earthy vibe that fills the air brought by generations of farmers who know the land. It’s a mix of humble farmland, rolling hills and carpets of ferns. All who visit seem to truly appreciate the harvest. There’s a sophistication and love of the water. There’s much rustic and cottage inspired design. Pulling all of these details together in a way that represents what you love about being up north is what makes each wedding truly unique. I think this is Northern Michigan style. 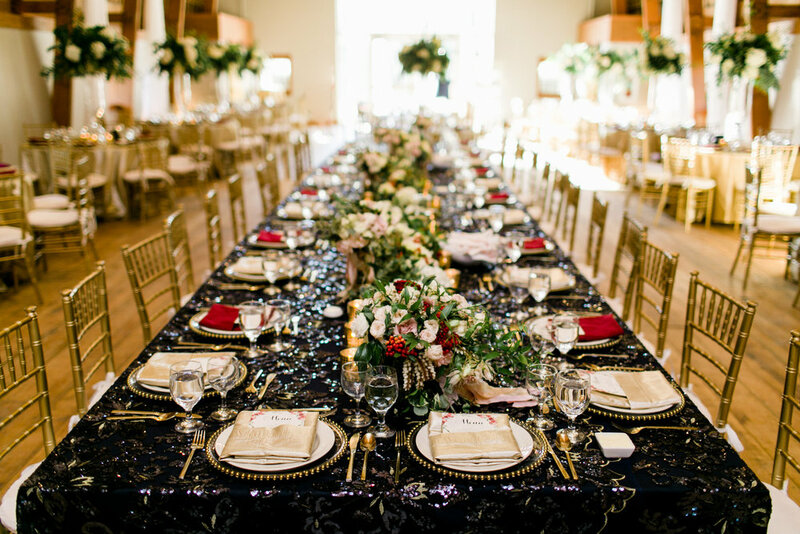 Shelby is lead wedding planner, artistic director and floral heart behind The Day's Design. 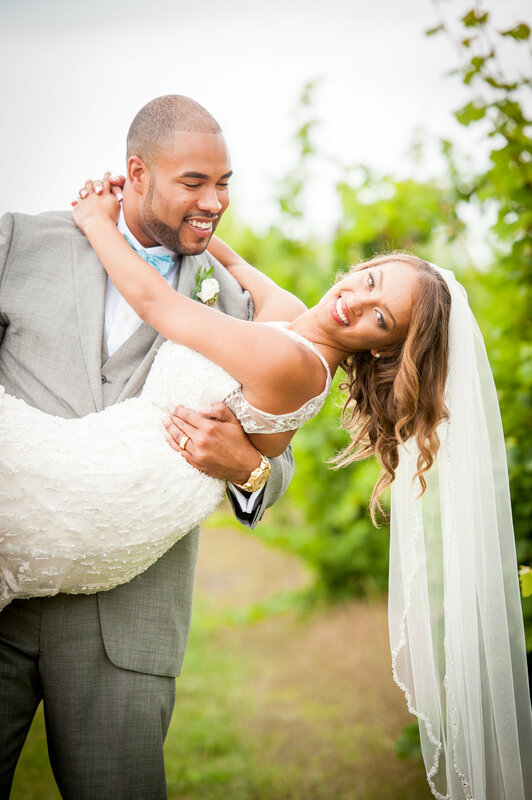 She delights in celebrating romantic, natural and fancy free occasions throughout Northern & West Michigan. When she's away from her design work, you'll find her at home with her hubby and two beautiful baby girls, daydreaming along the shores of Lake Michigan, strolling through local antique stores, picking wildflowers or blogging more about wedding and life adventures at The Day's Dream blog. Find about more about Shelby on her website, blog, Instagram, or Facebook! September 17th, 2016 could not have been a more amazing day in Frankfort, MI for this breathtaking lakeside wedding at the Elberta Life Saving Station. With the coordination assistance of Sincerely, Ginger Weddings, Lisa & Erik's day was complete with a soft, nautical touch, elegant additions of greenery, and plenty of local pies to go around. In the photos to follow, Lauren Sims (based out of Chicago, IL) perfectly captures the simplicity and grace of Lisa & Erik's special day. "September 19th , 2015, began wet and rainy. A bridesmaid got up super early to run the local Petoskey half-marathon (Harbor Springs to Bay Harbor). Everyone else was sound sleep as Javs and I snuck out to have breakfast. It was to be our last meal together before we became Mr. and Mrs! We exchanged our wedding gifts to each other and maybe there were a few tears shed. Maybe. A peaceful and romantic hour before the day’s activities started. Jav’s prep turned out to be a lot less hectic than mine, as I lost count of the people that came in and out of our cottage: photographers, hair, makeup, parents, flower girls. It was all a whirlwind, but cozy and fun. Everyone was drinking, laughing, talking, admiring each other’s hair, makeup. Highlight must be given to my bridesmaids trying to get me into my gown-something about mentions of fat fingers and the inability to button the million buttons on the back of my dress! Before I knew it, it was time for the first look, and the clouds parted and the sun came out just for us. Javs looked amazingly handsome. The rest was all a haze. Pre-ceremonial scotch at the bar before walking down the aisle to Marry Me by Bruno Mars , the waves of Lake Michigan crashing beside us as we read our vows, the awkward moment when the officiant realizes that she needed to give me her copy of my vows, and finally skipping down the aisle as Mr and Mrs Javier Rivera! There was much drinking, mucho more dancing and a ton of laughter as the night went on. Maybe some tears were shed, again, during speeches. Everything was perfect, from the cocktail candles under the tent, the flowers, the music, our friends and family. I can’t wait to do it again when we renew our vows!" There are advantages to being engaged for both a long and short amount of time. More time means less hustle and more time to contemplate and explore all of your options. Less time means more hustle but greater decision making ability, because there’s no time to second guess yourself. So what if you’re in that first category, what if you have lots of time and are tempted to change your mind once or twice or a hundred time during the planning process. How do you stick to your plan? Start by figuring out how exactly you want your wedding day to feel. Do you want it to be relaxed? Elegant? Fun? Surprising? Pull together a few keywords to use as descriptors for the day. Next, find images that represent those words and that feeling. Create a mood board. The board doesn’t need to be filled with exact replicas of items you want at your wedding but rather images that set the tone for the event. If a couple of your keywords were colorful and fun, you might add an image of a balloon bouquet. That doesn’t necessarily mean you’re going to carry a handful of balloons down the aisle, it’s just representative of those key words. Once your board is created, make sure every decision you make correlates back to that vision. Everything should somehow flow with the tone of your mood board. It will give you an anchor point and hopefully planning won’t go too off course. It is really easy to open a magazine or log into Pinterest and instantly be overwhelmed with gorgeous wedding ideas. From the venue search to dress shopping, the options are really limitless. To help narrow down those ideas, consider who you are both individually and as a couple. 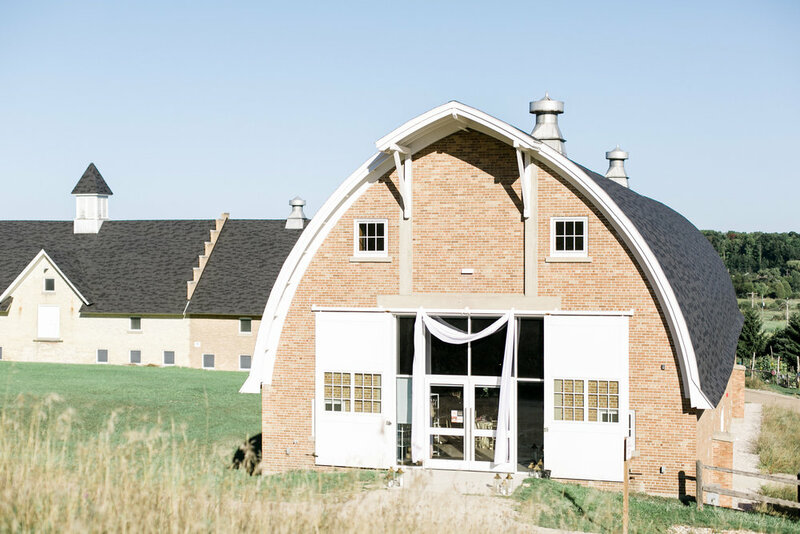 If you’re a city girl through and through, a barn wedding might not be the right route for you – even if there is a gorgeous barn in your area. 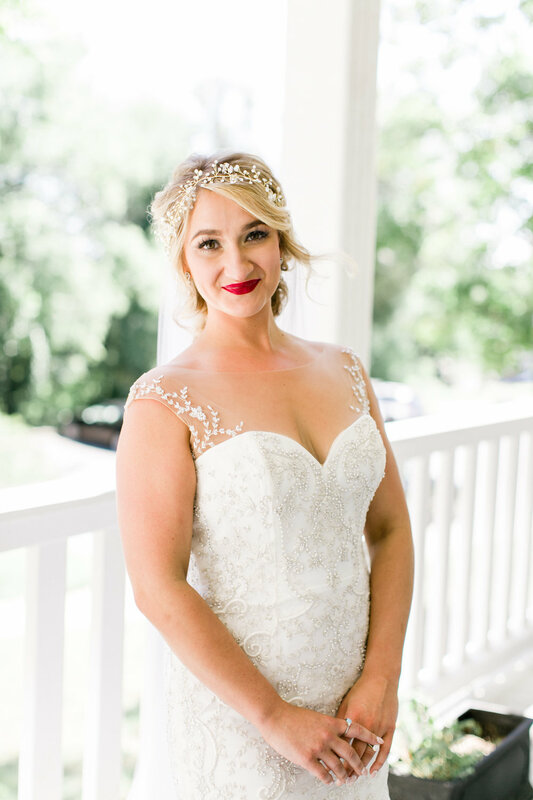 Likewise, if you see a pretty bridal makeup tutorial with crimson red lips and yet you’ve never worn lipstick a day in your life, that might not be the right look for you. 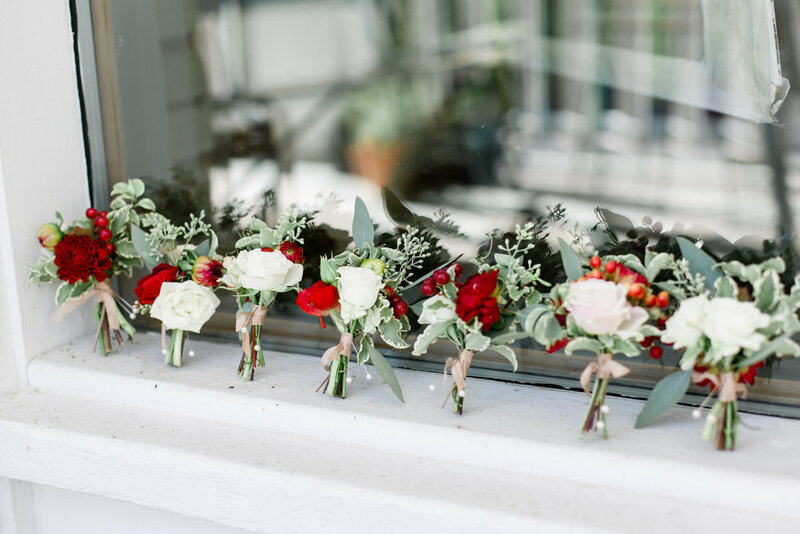 You need to feel natural and relaxed, stretching yourself too far out of the box might sound like a good idea at the time but planning a wedding is already unfamiliar territory, don’t add more stress to yourself. Bear with me a little bit on this one. If you have to ask why you’re doing something, then you most likely don’t need to do it. This will help make up your mind on most decisions and eliminate unnecessary ones. 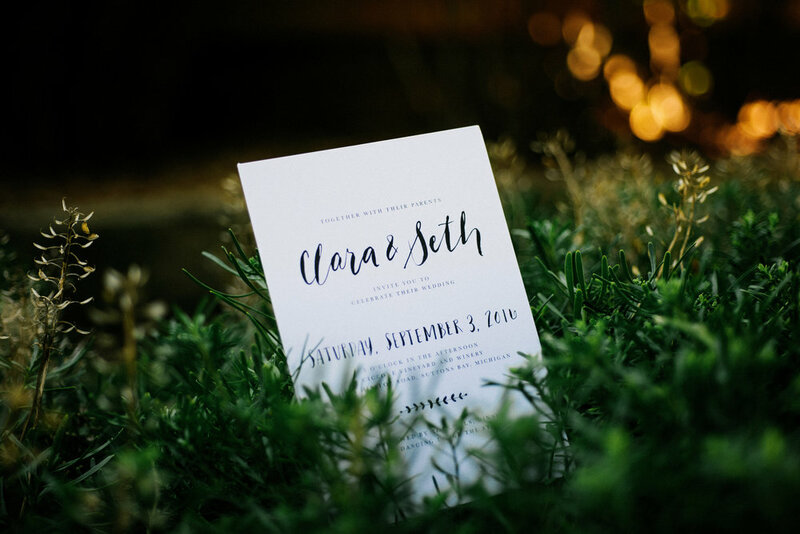 Case and point, if you don’t care that you have a book or sign with every guest’s signature on it – you’re not planning on displaying it on your coffee table, hanging it on your wall or putting it in a keepsake box, then you might not actually need a guest book. That means you can stop Googling and reading articles on the 20 most popular guest book alternative for 2016. Don’t stress over details that don’t fit with your overall visions (point 1) or that don’t represent you (point 2). This means Pinteresting too. 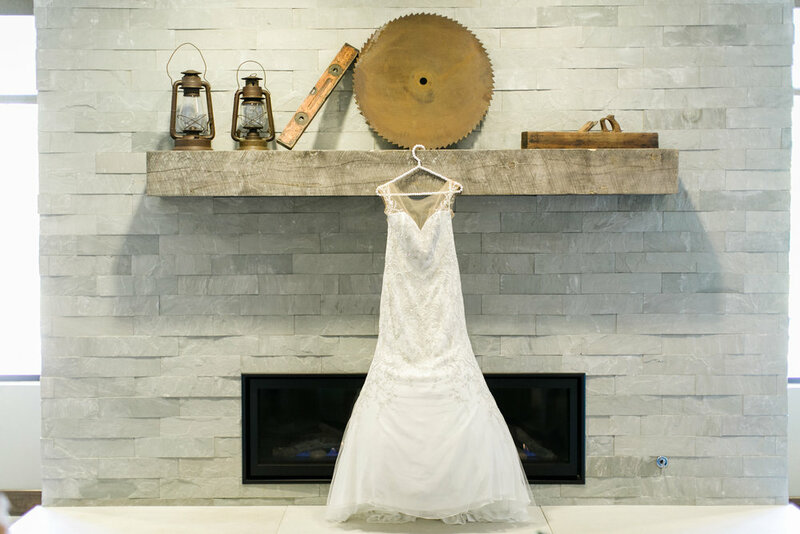 Once you find your dress, don’t step into another bridal store. Once your floral designer is locked in place with a beautiful proposal, stop looking at bouquets. When you’re a wedding guest at your cousin’s wedding, admire the beauty but don’t compare and start rethinking ideas. Just because it was beautiful and well thought out, that doesn’t mean that its right for you so don’t ask her where she found her linens or charger plates (head back to point 2, again). This is pretty much me circling up to point 2, yet again. Trends in the wedding industry change really quickly. If you’re engaged 1 ½ years, that’s potentially 2 wedding seasons worth of ideas that you’ve seen. So in order to save yourself from some of the madness, delete the trends from your brain. Focus solely on yourself and your relationship. Just because gold and rose gold are really hot right now, doesn’t mean you have to use them if you’ve always been a silver girl. Focus on design aspects that you’ve always loved. For me, robin’s egg blue has been my go to favorite color since I was 14 and I still love wearing clothing in shades of aqua, adding pops of duck egg into my home and of course a little Tiffany’s box will always make my heart pitter patter. For me, that’s timeless and part of who I am. Stick to those same principles and it less likely for you wedding to feel outdated before it actually takes place. 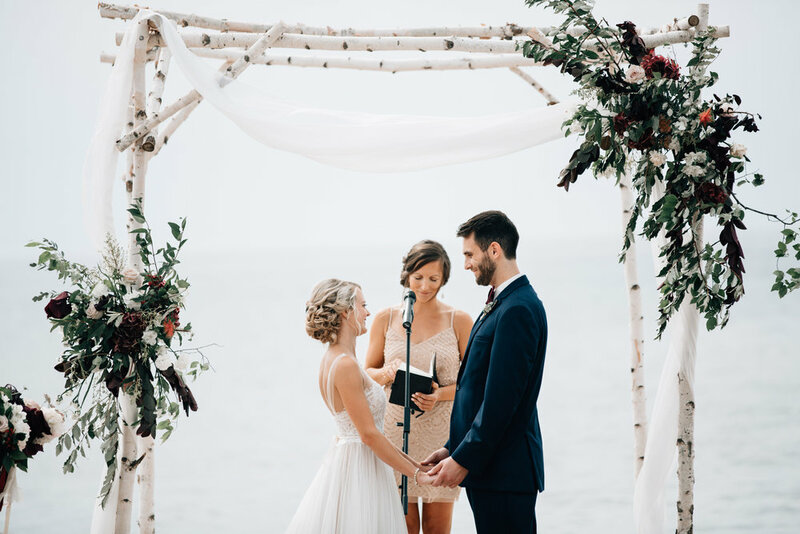 This Suttons Bay, MI wedding was destined for gloomy weather as the third of September approached. 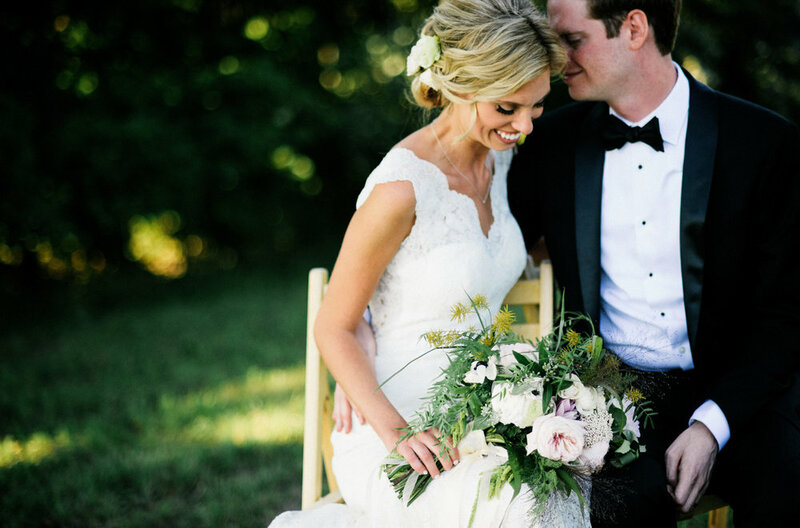 Luckily for Clara and Seth, their big day turned out to be absolutely stunning. Featuring Clara's unique style and the local Michigan flavors, this northern vineyard came to life flawlessly to display a vintage twist. 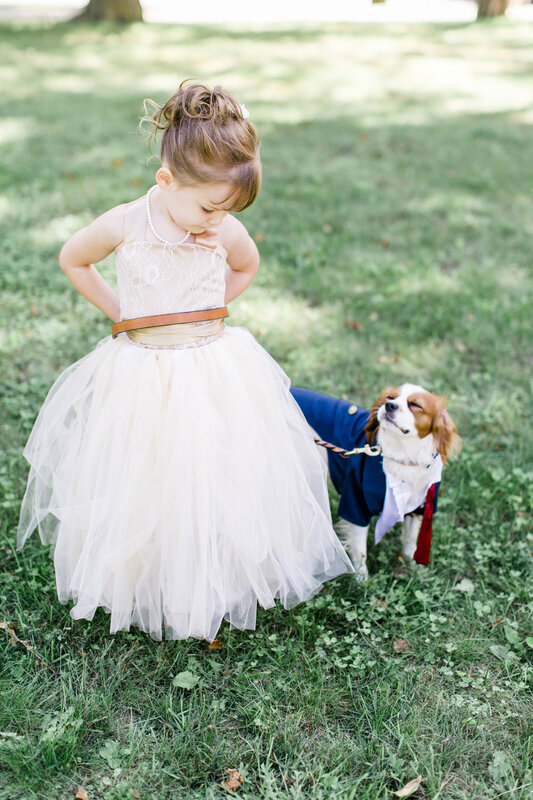 Clara and Seth had the wedding of their dreams. Briefly introduce yourself and your business. Hello! My name is Andrea Bogard, owner of Northern Art Photography. We are a Traverse City based full service photography and photo booth company. I have owned my own photography company since 2001. We specialize in weddings, portraits and events. 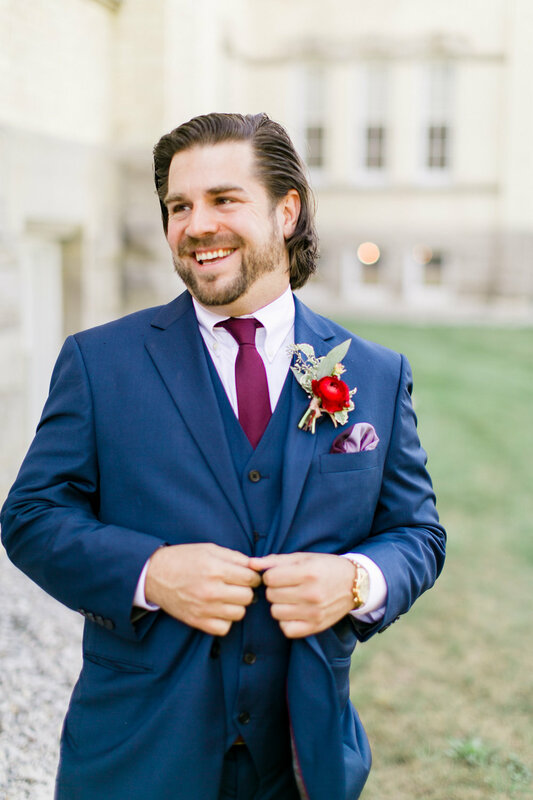 How did you get into the wedding industry? I personally got into the wedding industry around age 6. I would dress up my Barbies as brides and bridesmaids and put Ken in his finest suit. I would then borrow my Mom’s 35 mm camera and take photos of them! I was destined to capture weddings. Our style is a blend of today’s trends and techniques with timeless, classical elements woven in. We want you to look at your pictures decades down the road and still be as in love with them then as you were on your Wedding Day! Our passion is storytelling through imagery. We want you to feel your Day unfold as you look at your photos, not just see it. My favorite part changes as I evolve as an artist and grow as a person. This season, it is the Mother/Son dance. My husband and I have two boys and I love watching the emotions between Mom and Son. 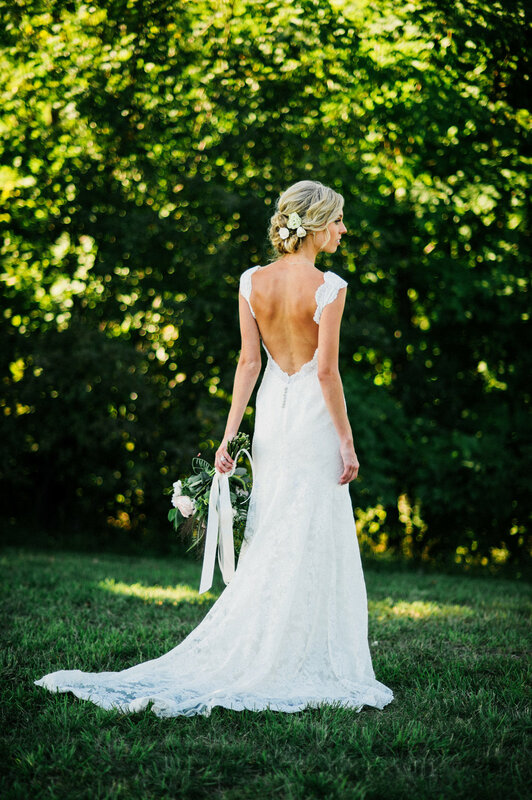 What are some of your favorite trends from last wedding season? 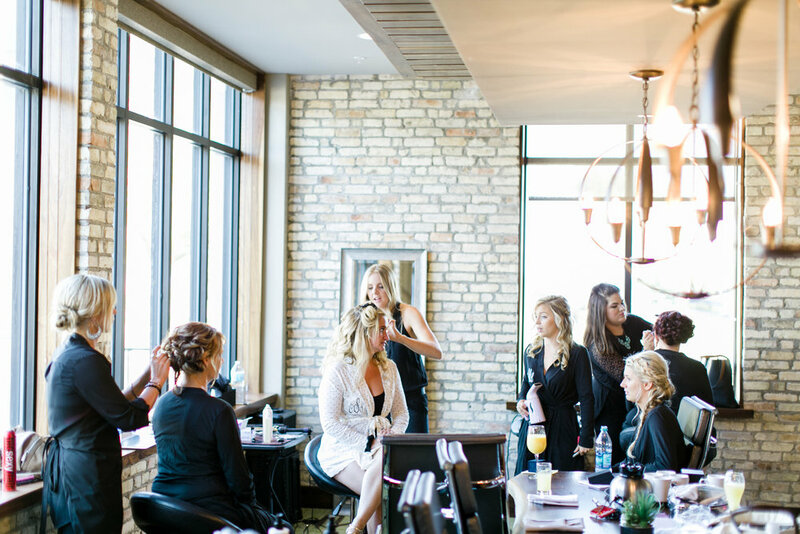 I love the shift in focus from bride only to bride and groom in the planning process. 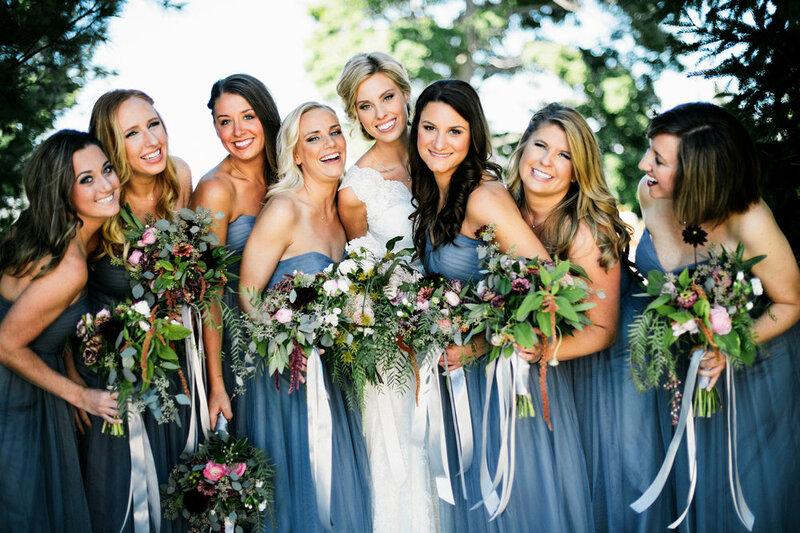 We are seeing a huge number of grooms take a much more active role in the planning and execution of the wedding day. It makes a huge difference from a photography standpoint when both the bride and groom have emotional buy in to the process. How far in advance should a couple look into booking your services? We book anywhere between 12 and 24 months for weddings and events. Occasionally we work with couples who are planning in the 3-6 month booking cycle as well. What advice do you have for couples about the planning process? Hire a planner! 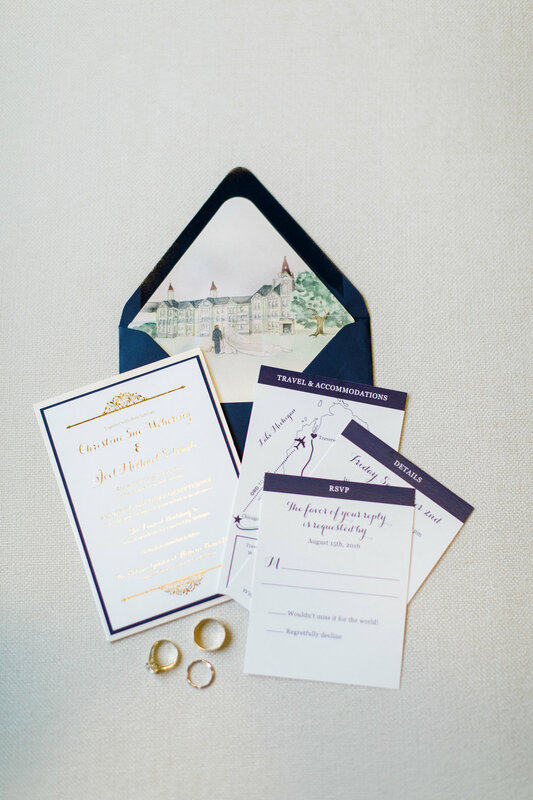 Planning a wedding can be overwhelming and a good planner can help alleviate potential stress. Enjoy this time as a couple, and relish every moment of the journey! What do you love about living and working in Northern Michigan? I love the pace! My husband and I and our two boys live just outside of Traverse City on 10 acres. It is a peaceful and beautiful oasis just 17 minutes from our gorgeous studio in the Grand Traverse Commons. 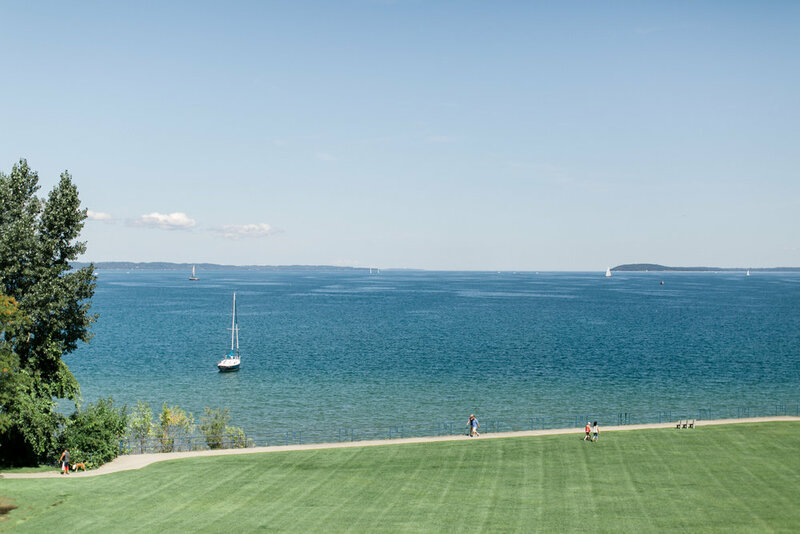 I love living the Northern Michigan lifestyle – loving family, beautiful scenery, wonderful clients and friends, amazing weddings, good food, delicious wine and fantastic weather. It doesn’t get any better! 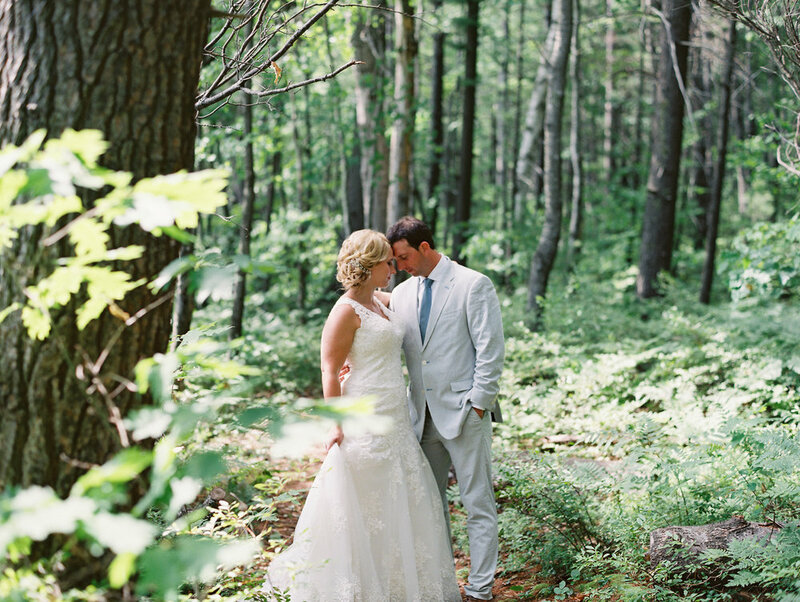 Adam and Alysse planned a northern Michigan wedding at her uncle's private cottage on Munro Lake. It was the perfect backdrop for an elegant summer soiree, designed and coordinated by the amazing team at Smitten Events. 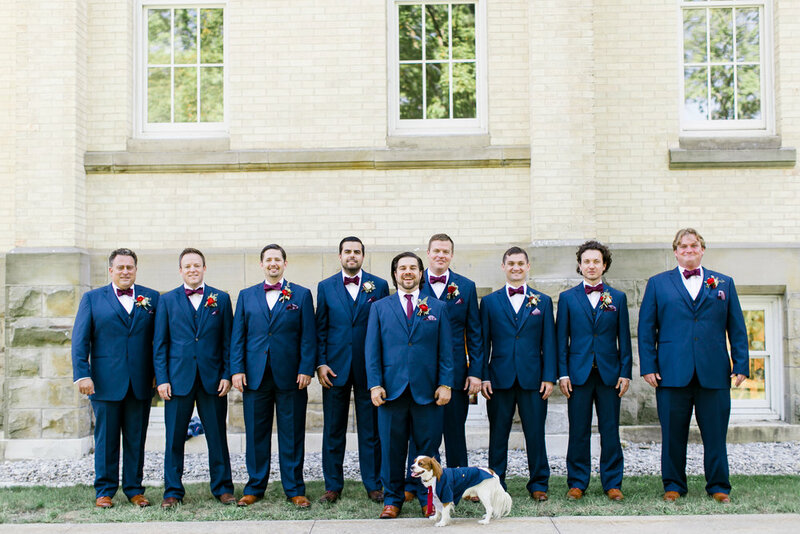 The beautiful pink, blue, & gold palette was a perfect combination for this wedding. Other details that were absolutely stunning include the mirrored seating chart, the seer sucker suits for the groomsmen, and the amazing caterer frying fresh perch right in front of you. 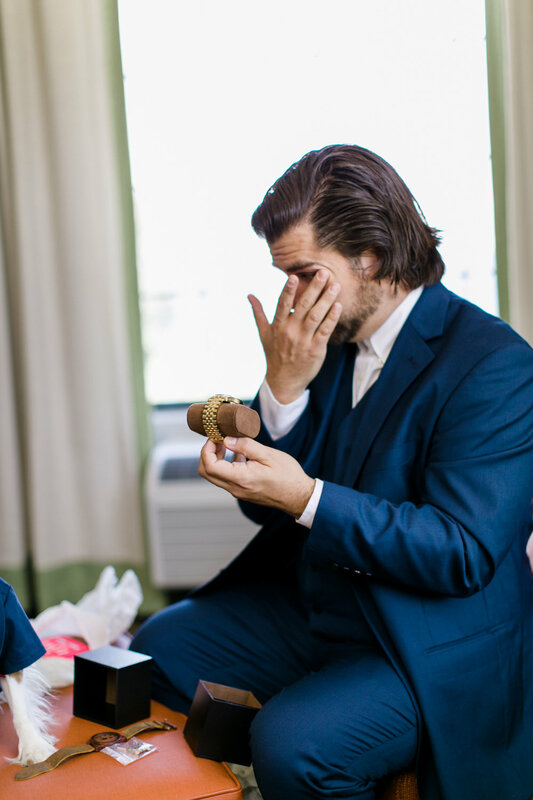 But no detail tops this dream wedding more than the love that Adam and Alysse share for each other.